Last month, a group of eager bartenders gathered at a Louisville, Ky., Irish pub known as Molly Malone's. 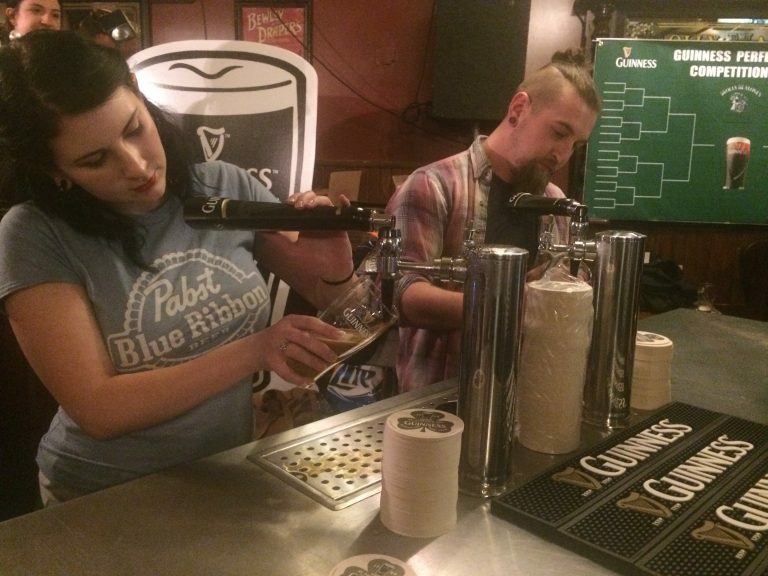 They were tasked with pouring a perfect pint of Guinness, and two by two they battled each other for the title of sole survivor, bracket-style. There's a method to the madness that is Guinness, and as a bartender working in any city — large or small, near or far — the skill and knowledge it takes to construct the perfect pint should be mandatory. After all, it's been around since 1759. 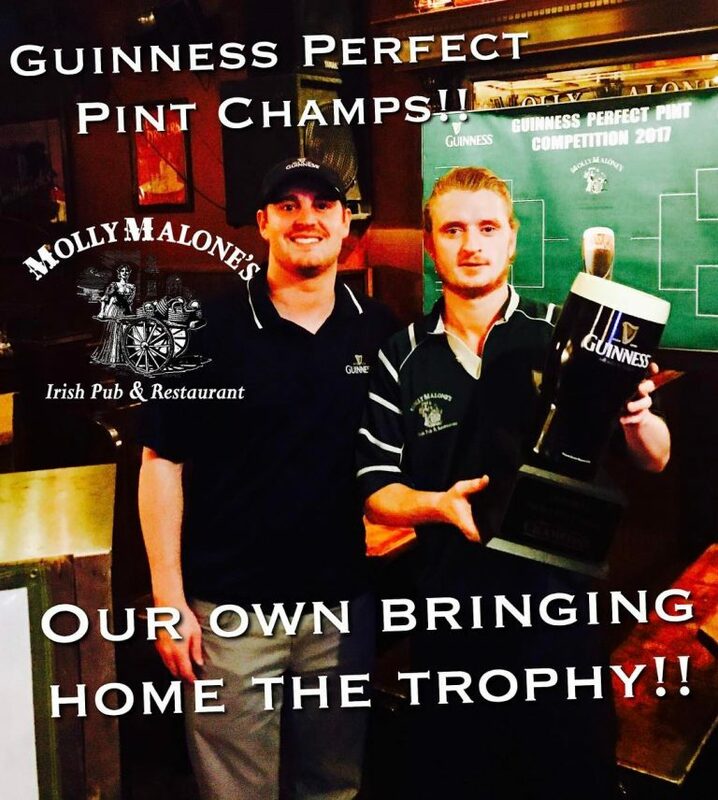 Molly Malone's own man behind the bar, Wayne Sean Bruton, took home the trophy that night, pouring pint after pint with the right amount of foam, glass tilted at the right angle, and waiting for the exact moment when you top off the settling Irish dry stout. Guinness Brewery Ambassador Annie Redmond, who attended the event in Louisville, says the time elapsed between the start of the first pour until the beer is settled and ready to be topped off is 119.5 seconds, to be exact. The thick, creamy head should stop right at the rim of the glass — no shorting the consumer, and definitely no waterfalling over the sides. 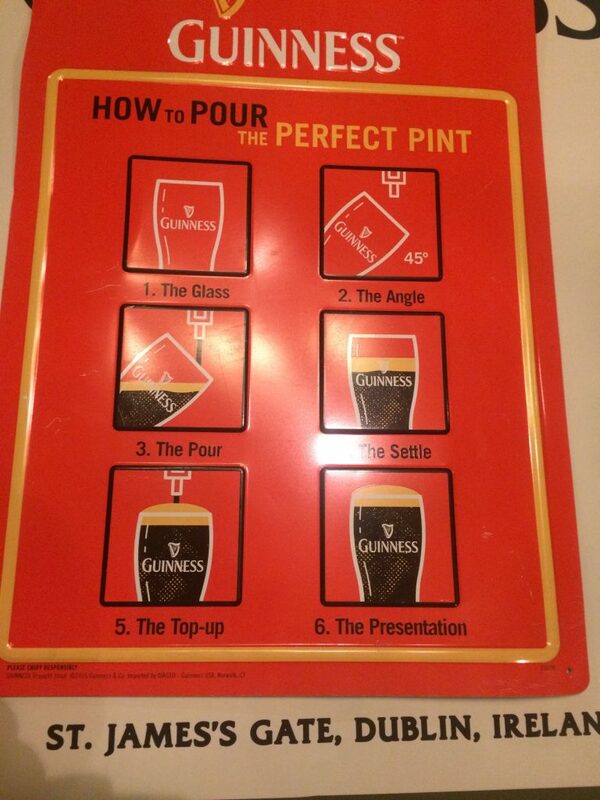 Redmond outlined the six important steps it takes to pour the perfect Guinness, which seem basic but are extremely necessary. 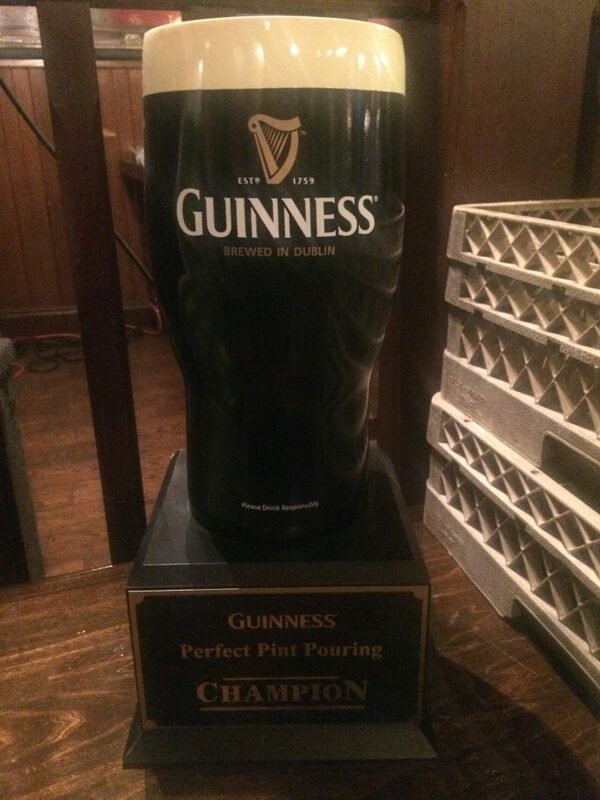 Step 1 — THE GLASS: Start with a clean, dry Guinness Gravity Glass. If a pint is poured properly in a correct, clean glass, the head should remain from the start until the last drop. Step 2 — THE ANGLE: Hold the glass at a 45 degree angle underneath the spout. The spout should never touch the glass or the beer at any time. Step 3 — THE POUR: Pull the Guinness tap handle all the way down toward you. Keep the 45 degree angle for most of this pour. As the beer starts to fill up the glass, straighten the glass to upright until the beer reaches the gold harp above the Guinness logo. Step 4 — THE SETTLE: You get to see nitrogenation at work when a pint of Guinness is settling. It takes 119.5 seconds from the time you start the first pour until the pint is ready to be topped off. Step 6 — THE PRESENTATION: Guinness should be given to the customer on a coaster, with the Guinness logo faced toward them. Redmond believes Guinness is well worth the wait, and she knows the beer's fans have no problems with an extra two minutes. It's estimated that more than 13 million pints of Guinness are sold around the world on St. Patrick's Day alone.